If you are interested in attracting birds into your garden but don't quite know where to start, this is the perfect book for you. The Stokes Beginner's Guide to Bird Feeding book describes common backyard feeders and the best seed to use in them, as well as other provisions that will aid in attracting birds, such as water, protection, and shelter. This work describes tray, tube, hopper, suet, and thistle feeders separately, discussing which birds may visit and what seed is appropriate for them. A section dedicated to baffling marauding squirrels is quite helpful, followed by a chapter of frequently asked questions. The final chapter includes photographs and descriptions of the bird species you are likely to see at your feeder and offers tips and fun facts about each. 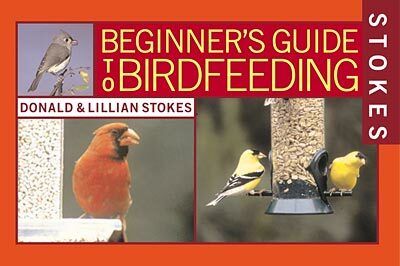 Stokes Beginner's Guide to Bird Feeding is a great resource for anyone wanting to create a bird sanctuary. Note: For help finding bird feeders, check out our Bird Feeder Finder.